How to: Toss everything – except the tomatoes – together, refrigerate until ready to eat then gently mix the tomatoes through and serve. 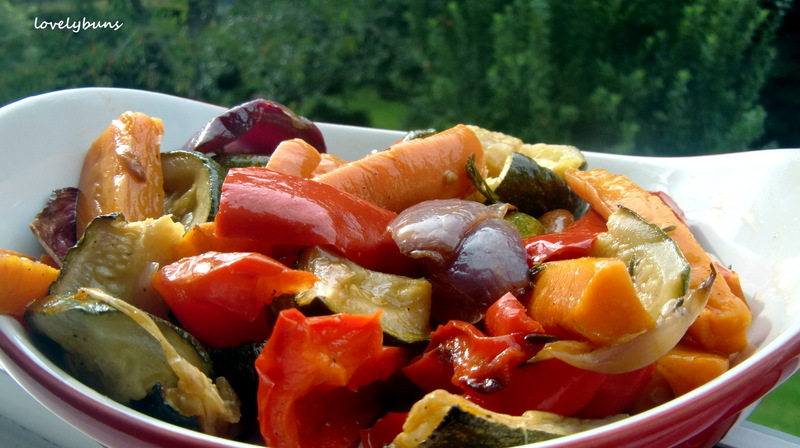 This side dish of roasted vegetables is great served with a barbecue and is very quick to prepare. 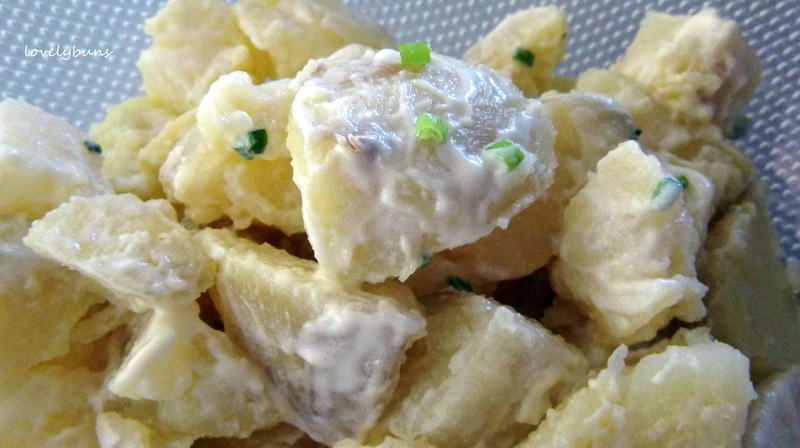 This is a lovely juicy side dish. Nothing difficult about this one! 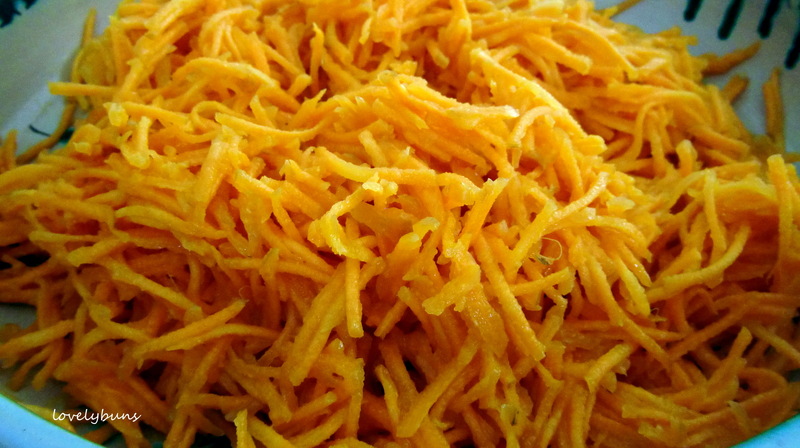 Grate about 500g carrots or as much as you think you’ll eat! 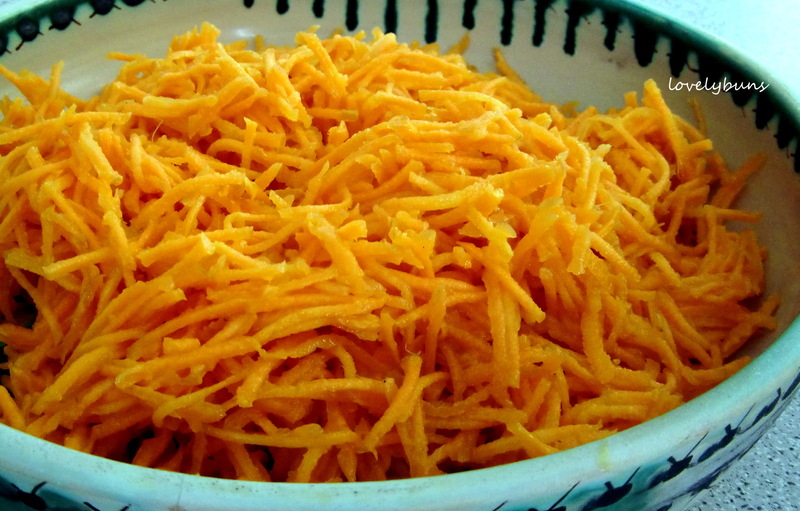 Pour over the grated carrots – the aim is not to soak the carrots, more to glaze them with the dressing. Add raisins if using and chill in the fridge until ready to eat. Bump up the quantities as required. It’s even better the following day after the carrots have softened. The quantity of each ingredient used is a matter of taste, but this is what works for me! 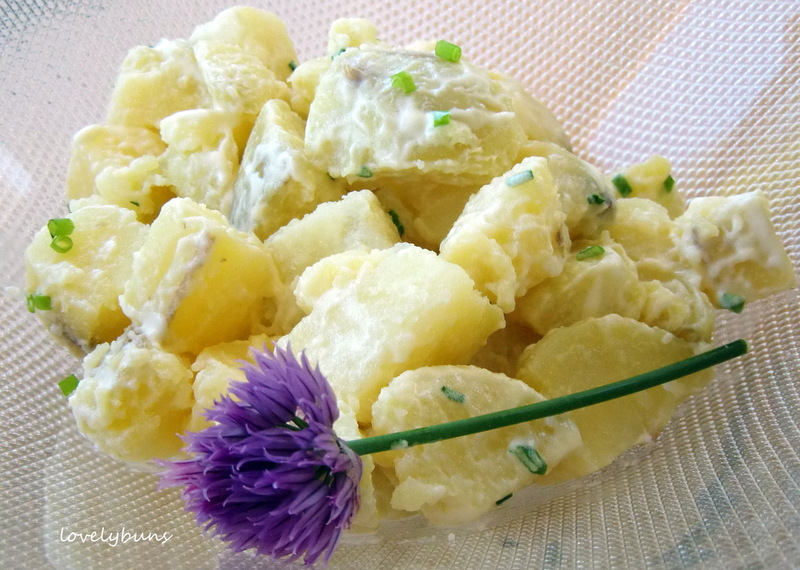 – Mix 2-3tbsp mayonnaise with 2tbsp crème fraîche and about 2tbsps of freshly chopped chives until all combined. Pour over about 400g pre boiled chopped potatoes and serve warm or cold. The potatoes can be used either with or without skin whichever you prefer. I use as much potato as I think we’ll eat and adjust the amount of dressing to suit. Deliciously creamy, this is perfect kept in the fridge for a couple of days so if you make too much, it’s easily finished off the next day! 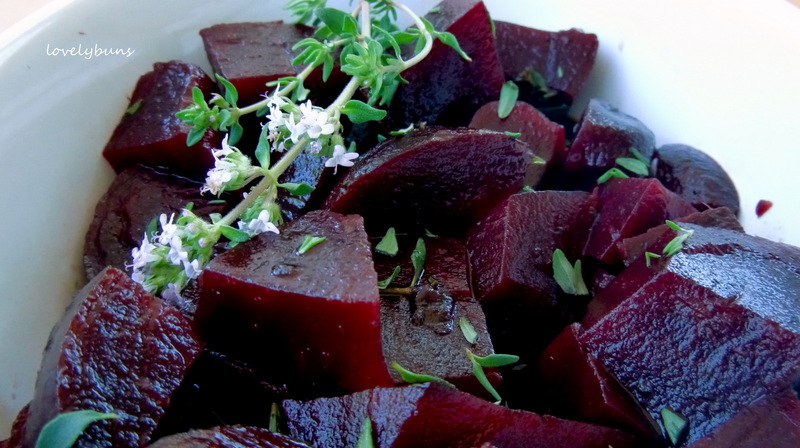 This makes for a delicious beetroot side dish. And it doesn’t take much preparation! 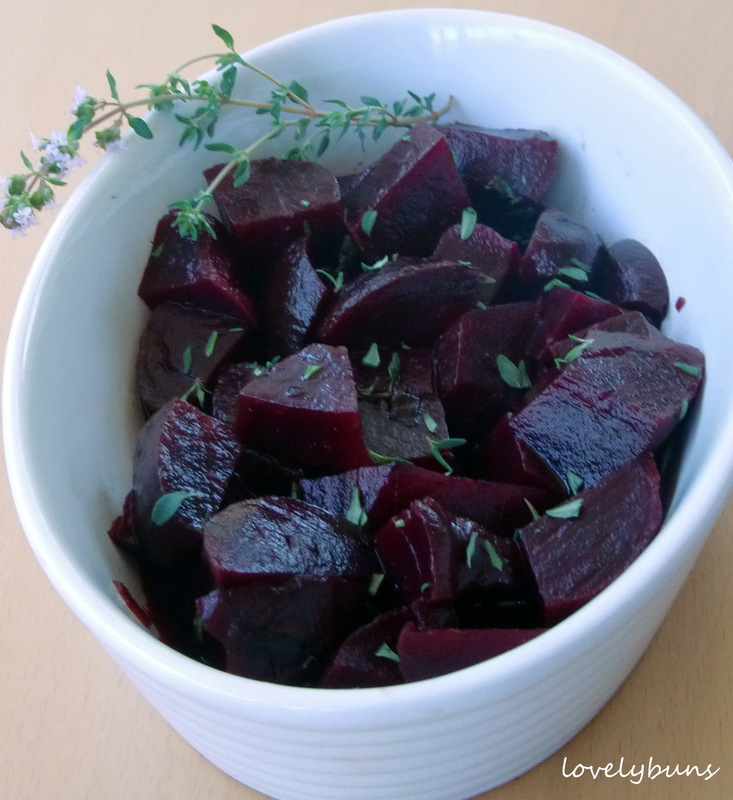 *just chop up as much beetroot as you think you’ll need, the dressing can easily be adjusted as required. How to: Mix the thyme, vinegar, oil and honey together in a small bowl or jug. Roughly chop the beetroot into bite sized chunks and put in a small roasting tin. Pour the dressing over the top and stir everything together until all the beetroot is coated with dressing. Bake at 180°C for about 25 mins until the beetroot is glazed and slightly sticky. I like to sprinkle a little extra chopped thyme on the top for decoration! 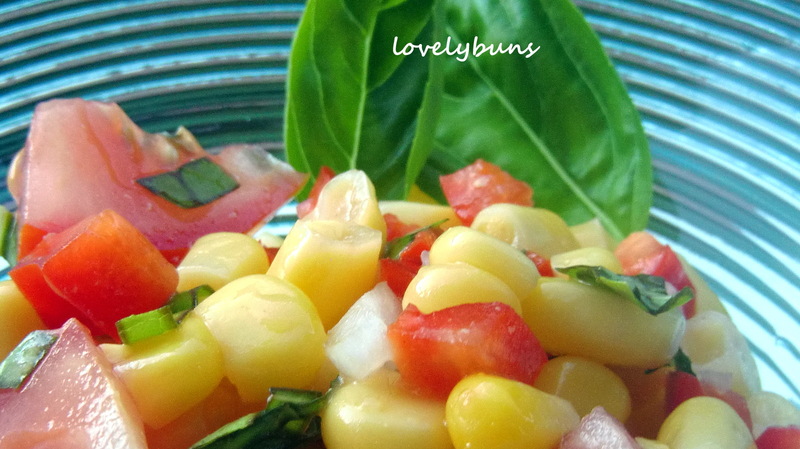 This can be kept in the fridge for a day or 2 and is really good served with bbq chicken or a simple cheese salad. Quantities are pretty vague here, it depends how many are going to eat the salad and perhaps what else is being served! 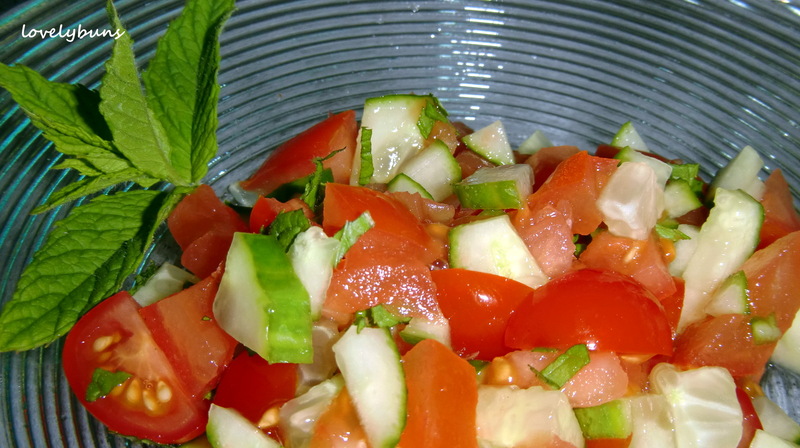 Chop some tomatoes into small bits, chop about the same quantity of cucumber into small bits and mix together. Add some chopped red onion and fresh mint leaves (also cut into small bits). Just before serving squirt with lemon juice, season as desired and decorate with a sprig of mint. P.S. 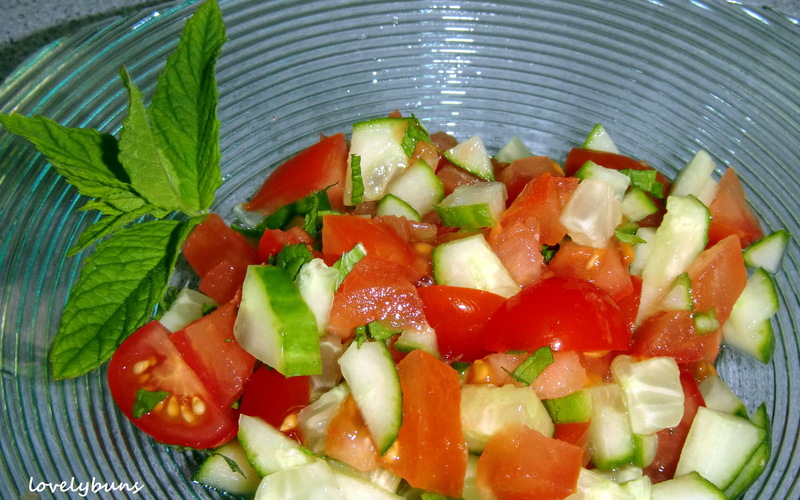 the original recipe calls for 6 tomatoes, a small cucumber, 1 small red onion, 6 tbsp fresh mint – but this makes too much for us so I just make what seems the right amount as it doesn’t really keep until the next day.